When my kids were growing up, I always hated when they said: “I don’t feel well.” Having my daughter 4 hours away and hearing those words make me hate them even more. No one wants their kids to be sick, especially when they aren’t at home near their doctor. Fortunately, there are things that can be done to help them to get through the illness. I sent my kids to school with a plastic container that had as many things that I could think of to help them if they weren’t feeling well or just needed some first aid. From band aids to allergy pills, the box was filled and I told them to wash their hands and change their sheets and toothbrush as often as possible. Sometimes they need care beyond your box. In my experience, my kids and I have had great results taking Source Naturals Wellness Formula. It has been a strong herbal defense supplement in fighting an illness that was recommended to me by a local natural health food store. Two a day for prevention, but when you feel yourself coming down with something, you take 6 in the morning and 6 in the evening for two days. It has worked amazingly well for most everyone I have recommended it to. Sometimes these tips and recommendations are just not enough and they need to get into a doctor. There are options for your child regardless of what the medical issue is. UNF has a full medical department and health center on campus. The health center is open Monday – Friday from 8am-5pm and, although the center prefers you make an appointment, they will accept walk-ins. 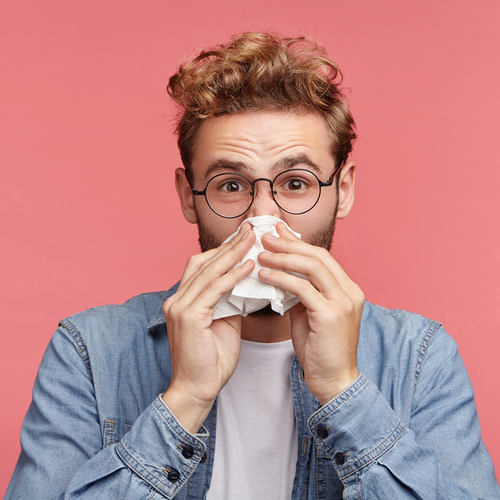 My daughter had flu-like symptoms last semester and did not make an appointment but, they did see her and administered a flu test; however, they advised her next time that she would need to make an appointment. If their illness requires an emergency room, there are four emergency rooms within 15 minutes of campus, Baptist Beaches Medical Center, Baptist Emergency at Town Center, Mayo Clinic Hospital and St. Vincent’s Medical Center Southside. Have your student fill out and drop off a medical release form when they begin college. It is up to them as to how much access they want to allow you. There is nothing worse than calling to find out how your sick or injured student is and being told the doctor is not authorized to talk with you. If the health center on campus is inconvenient due to the hours or long wait times, there are alternatives. CVS has Minute Clinics for minor illnesses. Be sure your student has a copy of their insurance card. If you want to send something to make your student feel better, there are many options from chicken soup your student can pick up or have delivered. See our blog on Care Packages for more ideas. And finally, remind your student to notify their professor if they will be legitimately missing class and unable to complete coursework. Including a doctor’s note is encouraged. UNF students who are seen by a doctor at the Student Health Care Center and who will not be able to attend class or take an exam may be able to get an excuse note. You can find that information here.